They may not be the biggest or the most impressive hills around, but the mountains of Snowdonia have their own charms and history making up for their modest size. I’ve always thought that climbing in the mountains is something really special. 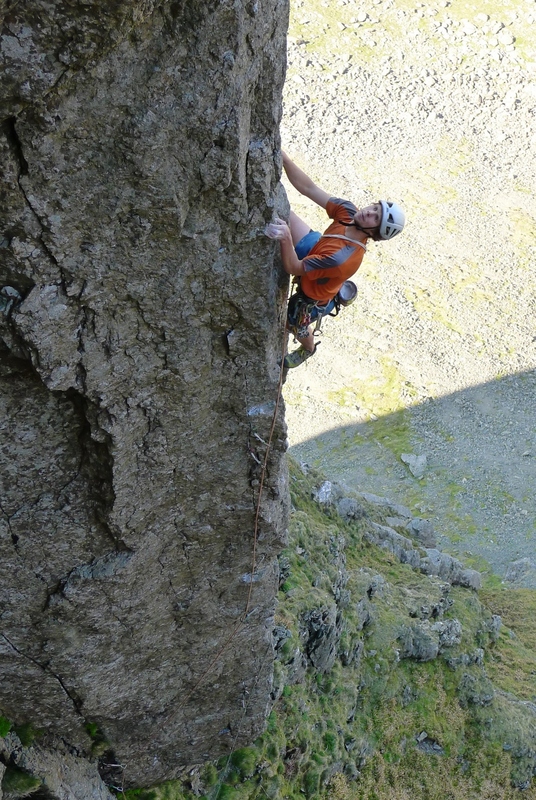 Spectacular views and fantastic climbing is normally guaranteed in Snowdonia when you know which cliffs to get to. Over the last couple of weeks though the perfect combination of sunshine and breeze (to keep the midges at bay!) have been fairly standard on my days off and I’ve had the opportunity to get out climbing at Ogwen, my most local climbing venue being only a 15 minute drive up the road. It was often really wet up there last year which meant I only got the chance to climb there a couple of times. 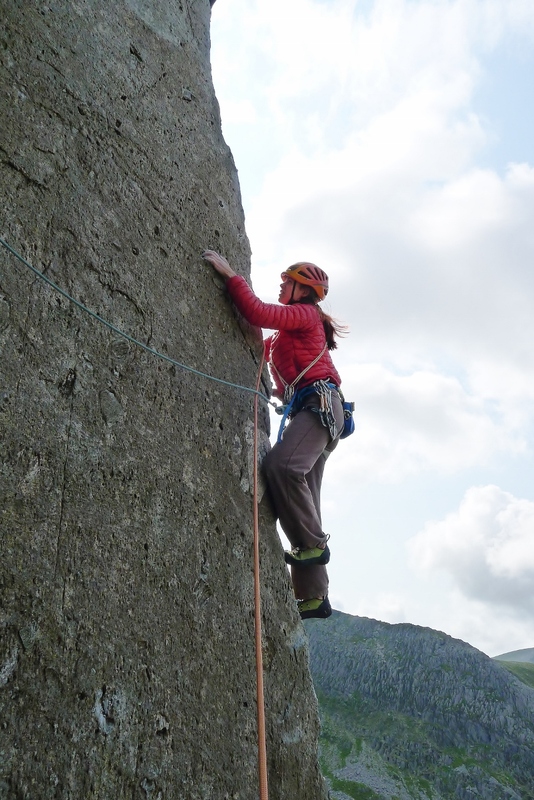 The first route on the list was a route called ‘Kaya’ on Glyder Fach. 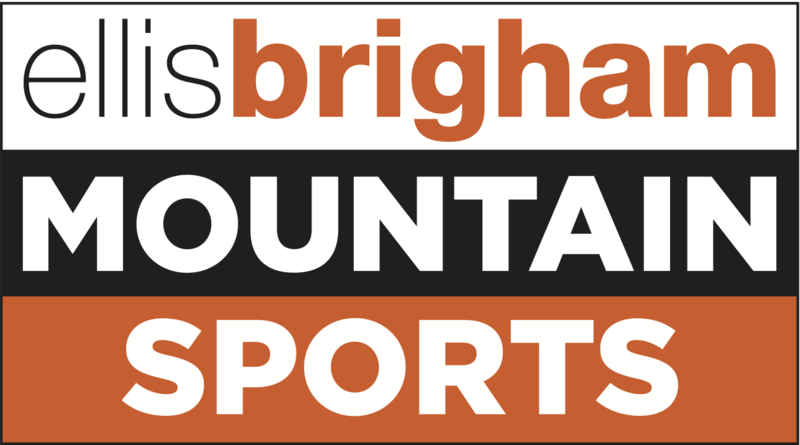 It was first climbed by two friends of mine; Noel Craine made the first ascent of the original route and then Johnny Dawes straightened it out with a direct finish. 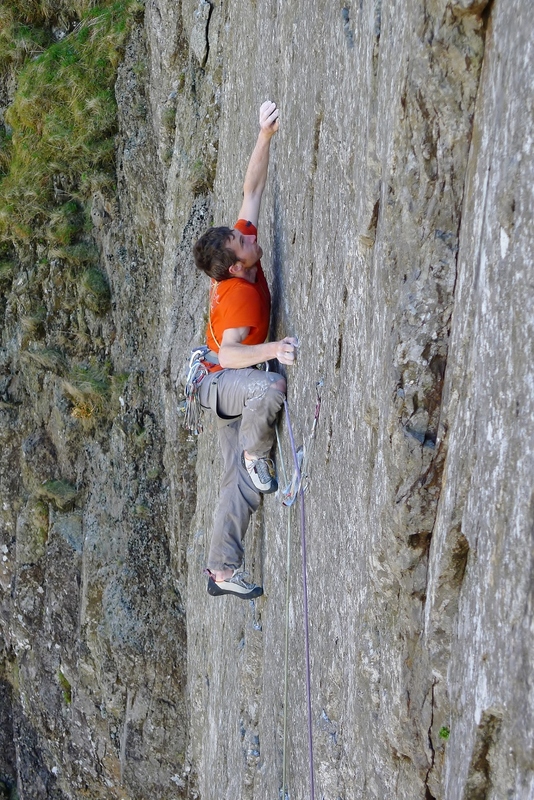 They and others have all raved about the quality of the climbing and they weren’t wrong, it was a top quality route! Dave Rudkin and I both climbed it on our second go, both happy to have climbed it but a little gutted to have failed to on-sight it due to very silly errors on our parts and greasy conditions- although we would say that wouldn’t we! I also noticed a cool looking unclimbed wall to the right that day- but more on that later! 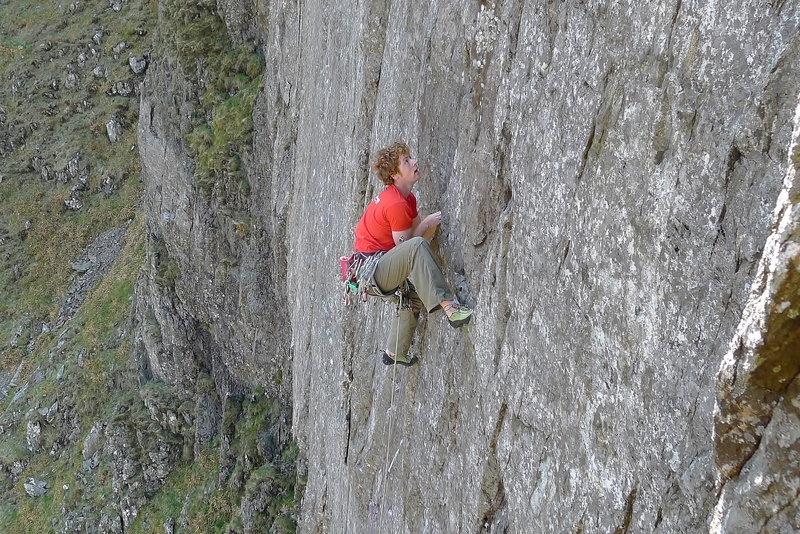 The following day Dave and I were joined by John Orr as we headed up to Gallt Yr Ogof to attempt ‘Heart of Stone’, another top quality E7. 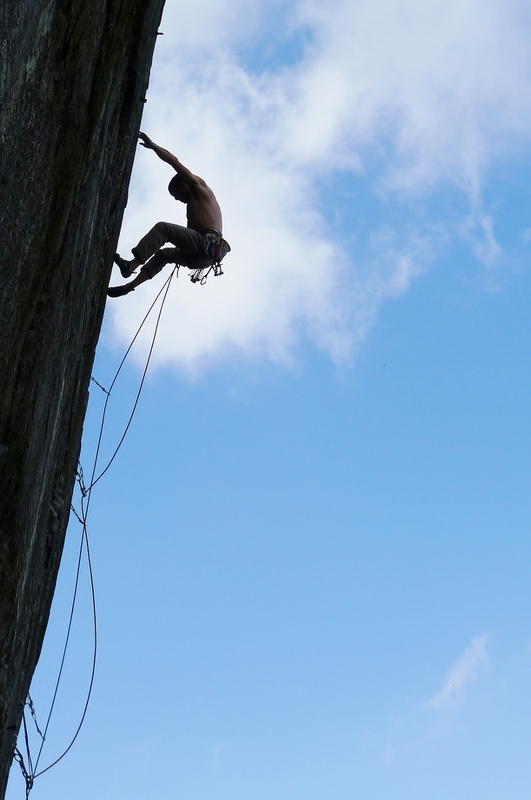 It was Dave’s turn to go first and he put in a sterling effort up the steep wall, getting all the gear in before finally falling off with what he described as “bone marrow pump” a few moves from the top. I was up next and also got ejected a couple of moves from the top with elbows pointing skywards and feet pedalling downwards! It’s got a pretty healthy run out on the final section! 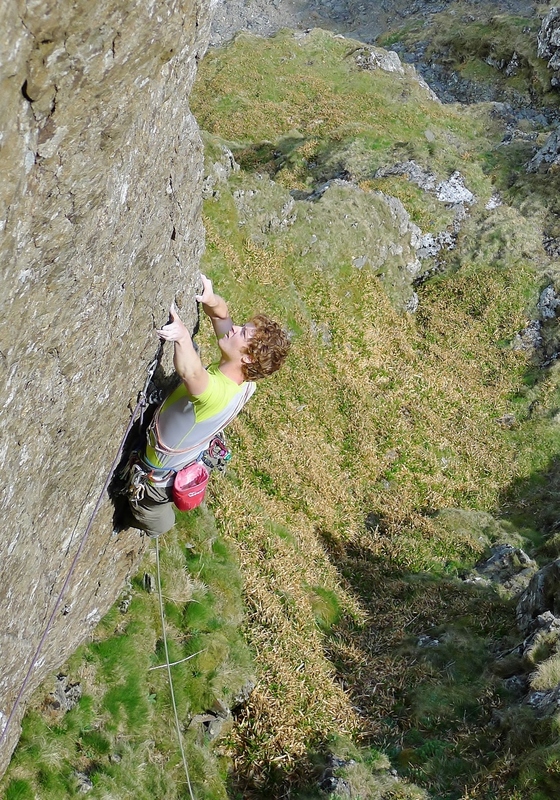 The climbing on it is fantastic though with consistently steep climbing on perfect crimps, pockets and side pulls. We all had another go getting even closer to the top before Dave on his third go managed to cruise through to the finish after a brief abseil inspection. Unfortunately the midges had come out in full force by this point and we had to make a fairly swift evacuation of the crag! The following day was a long one work wise but very rewarding. At 4am I was out with Run Snowdonia helping out on the first leg of the 14 peaks with a keen group of walkers from Exeter. 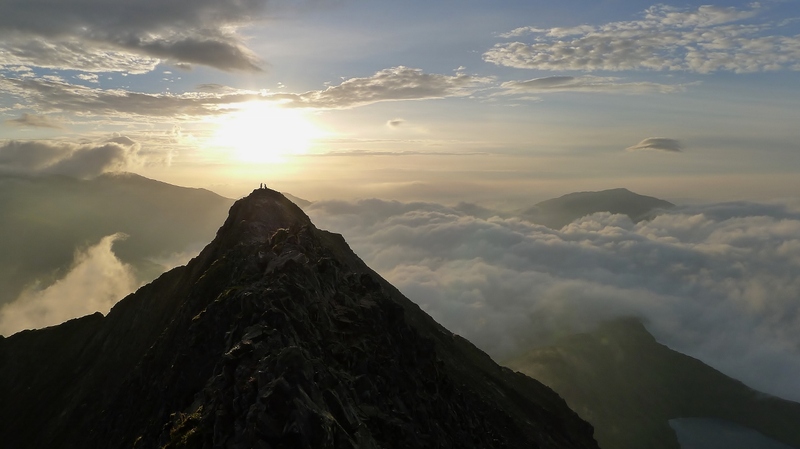 It was a misty and murky morning which hadn’t raised my hopes for a pleasant walk but, 30 minutes later, we broke out of the clouds as we approached the lower slopes of Crib Goch and walked up into a stunning sunrise combined with an amazing cloud inversion. It was the first cloud inversion I’d seen this year and the fact that it was coinciding with the sunrise made it even more special. By 8am we’d finished the leg and I had to dash off for a twelve hour shift elsewhere feeling fairly lethargic! I also managed to return to the unclimbed wall I’d noticed on Glyder Fach. First I headed up with Ant Douglas for a quick blast to see if it was possible and managed the route first go, despite feeling like I was falling off half the time. The rain was moving in though which meant we had to make a fairly hasty exit. I headed back up with Emma Twyford though for my second go at it, hoping for a go on the lead whilst Emma was keen for a shot at ‘Kaya’. After a quick top rope I realised that the only way I’d be able to protect the crux moves of the route would be with a short sling attached to the first peg of ‘Kaya’, taped to the wall at a 45° angle to bring it just about within reach. I was hoping to clip the peg on lead, which would be possible, but would require some very delicate and dangerous moves that I wasn’t too psyched for on the day. The line is pretty good too, ascending the clean wall between ‘Kaya’ and ‘Lot’s Wife’. Unfortunately the first section does naturally trend rightwards into the crack line, in which you get a low side runner, but you soon make a committing step left and commence on a very thin sequence up the wall, having clipped the peg which slowly eases in difficulty before you finish up the ‘Watchtower’, an E3 that breaks onto the upper section of the wall. 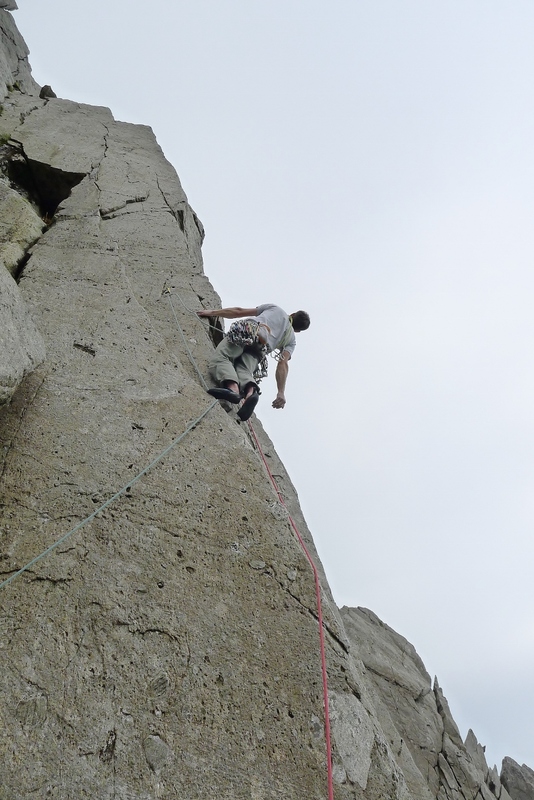 The lead went just about as smoothly as it could have and we both reckoned the climbing to be about E8 6c or F7c+ R/X. Having climbed my route Emma now got psyched for ‘Kaya’. She made very short work of the lower crux section before cruising up to the upper crux. She spent a while working out the next few moves and waiting for the sun to go behind the clouds before making the tricky move up to a big positive side pull. Emma relaxed for just a moment having reached this good hold and both her feet popped off robbing her of her first E7 flash. 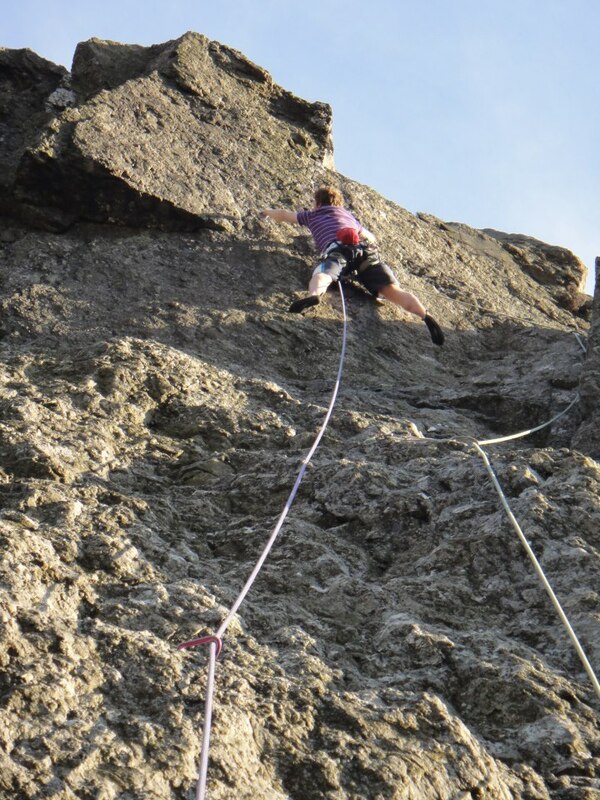 After a very brief rest she cruised to the top and I’m sure she’ll be on-sighting many hard trad routes soon with her awesome sport climbing fitness. The last couple of months have been a whirlwind of work and play (although mainly work!). 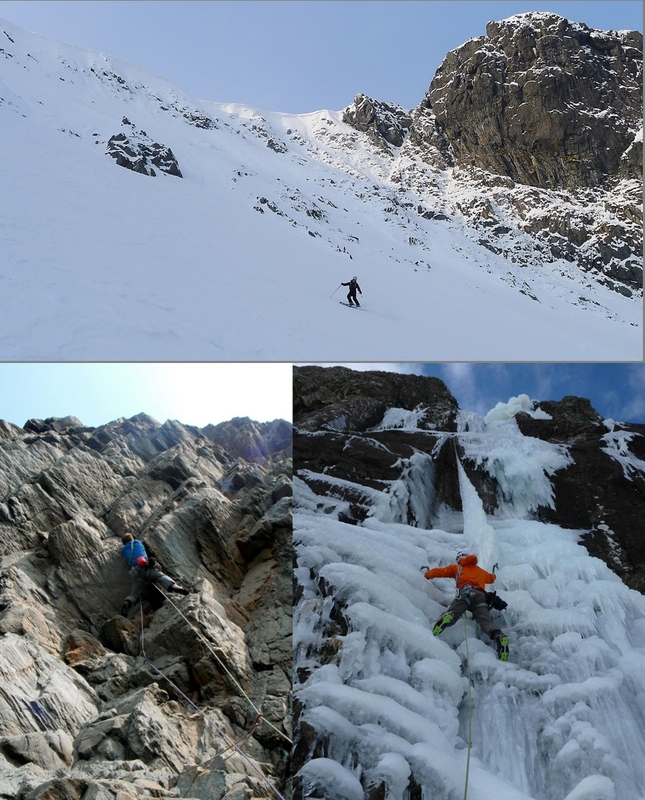 After returning from the Alps I enjoyed some good skiing, ice climbing and rock climbing all in the same week in North Wales. In fact, on one day, I skied down Glyder Fawr first thing in the morning, climbed an E6 at Gogarth, went for a boulder, instructed for a couple of hours and finished the day off with an ice climb! The weather in Wales has been, in general, really good this year, albeit a bit chilly. At the beginning of May I travelled to Pembroke with Dan Mcmanus for an awesome bank holiday weekend. We climbed stacks of great routes and caught up with loads of friends. 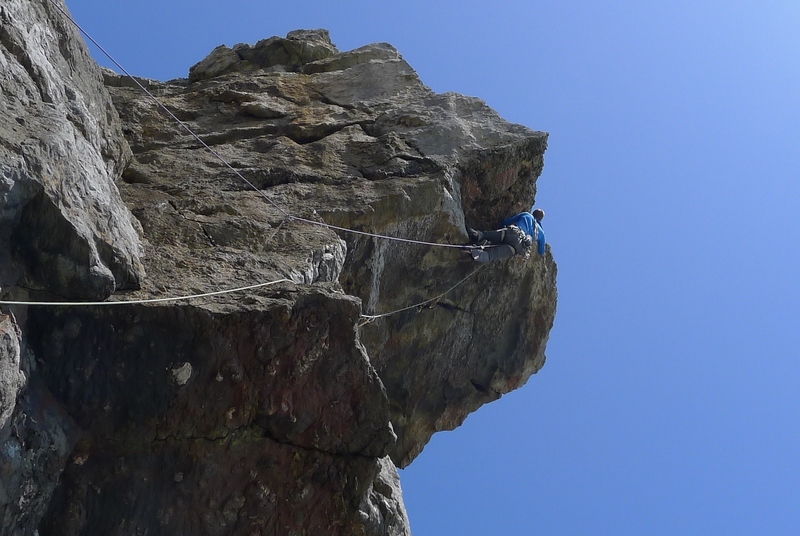 It was the kind of trip that reminded you how great climbing can be: three star routes, sunshine, getting pumped and having cream tea in the brilliant Ye Olde Worlde Cafe. Some of the standout routes were Crimes of Passion, Fortune Cookie, The Pulsebeat and Ghost Train. Ghost Train in particular was a route I’d been hoping to do for quite a while, however, up until this trip it had always been a bit too wet to climb. There’s a very big run out on the route to reach a thread at about 25m from where I remember thinking I really wouldn’t want to fall, as it would leave you taking a massive, ground sweeping fall. A good friend of mine, Will Oates, fell at exactly this point last week and through the quick reactions of his belayer didn’t hit the ground but took an absolutely humongous fall…respect Will! Since that trip to Pembroke I’ve been working 70 hour plus weeks, losing the fitness I’d gained and feeling utterly exhausted on my occasional days off. So it was with relief that I found my two and a half days off last week coincided with the warmest weather of the year; and that meant only one thing- Cloggy! Cloggy has got to be one of my favourite cliffs to climb on in the world; probably because my memories of climbing there are always of the warm and dry weather that are pre-requisites to go climbing there. My first visit there was on an after school raid with Francis Blunt when I was 14 years old. I’d just been given a copy of the classic and rare British climbing book ‘Extreme Rock’ and was inspired to try ‘A Midsummer Night’s Dream’ having read the account of Ed Drummond’s early ascent. I met up with Francis outside the old Safeway’s store in Bangor at 3.30 in the afternoon and we raced up to Cloggy to arrive at a sun baked Great Wall with a pleasant gentle breeze. I remember setting off in the wrong place for ‘A Midsummer…’ and making quite a long and technical traverse to gain the route, but after that all I can remember are the intricate sequences of moves and the long run out with climbing that is never too hard and never too easy to reach the Great Wall belay feeling utterly satisfied. So it was with happiness that I returned to Cloggy for the first time in nearly two years with on-form Cumbrian James ‘Caff’ Mchaffie and Ed Booth. Caff has been ripping things up lately in his typically understated way. 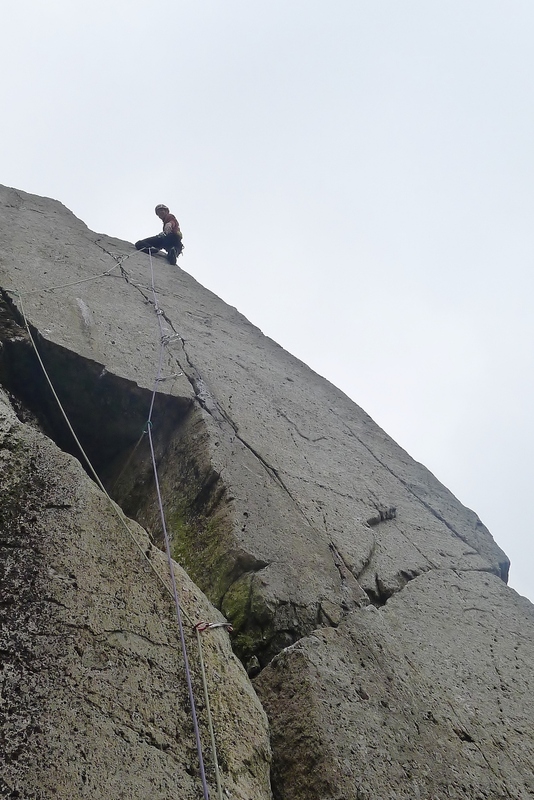 He’d just returned from a trip to Scotland with an ascent of the Longhope route under his belt and the previous day he’d made the fourth ascent of ‘Rare Lichen’, an E9 at Ogwen. Keen not to show any signs of weakness to Caff, I stick to my word and “warm up” on the utterly brilliant arête of ‘Authentic Desire’, a route that I’d waited a long time to climb. 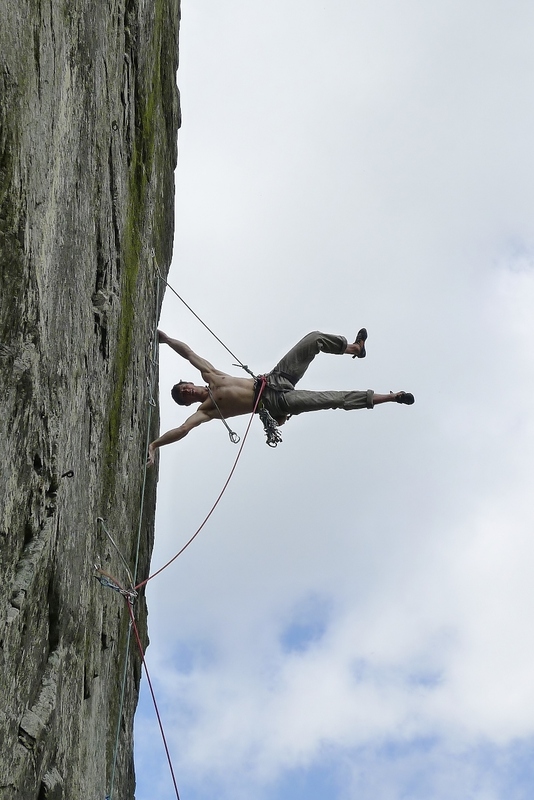 With the warm up out of the way, Caff was ready for the main event: an on-sight attempt of ‘Margins of the Mind’, an E7/8 6c with a BIG reputation. Caff took a while to find his way through the initial roof before placing plenty of poor gear behind rattley flakes as well as sky hooks kept in place with blue tac. He spent a long time on the crux going back and forth on small, lichenous crimps before finally committing to a sequence and reaching a good rest as well as a poor wire and skyhook placement. From here, Caff faced one final difficult move; a long reach up to a jug protected by the skyhook and poor wire beneath his feet. Caff spent ages going up and down, trying to work a sequence to get through the move, at one point nearly succeeding before he pulled off a thin side-pull. After ten “last goes” he was looking very frustrated and tired. After ten more “absolute last goes” he just looked deflated that he couldn’t figure out a good enough sequence to get him to the finishing jug. He’d been holding on for four hours before I eventually dropped him a rope and it’s certainly the most impressive on-sight effort I’ve ever seen. Caff returned three days later and finished the route off after a brief abseil inspection. 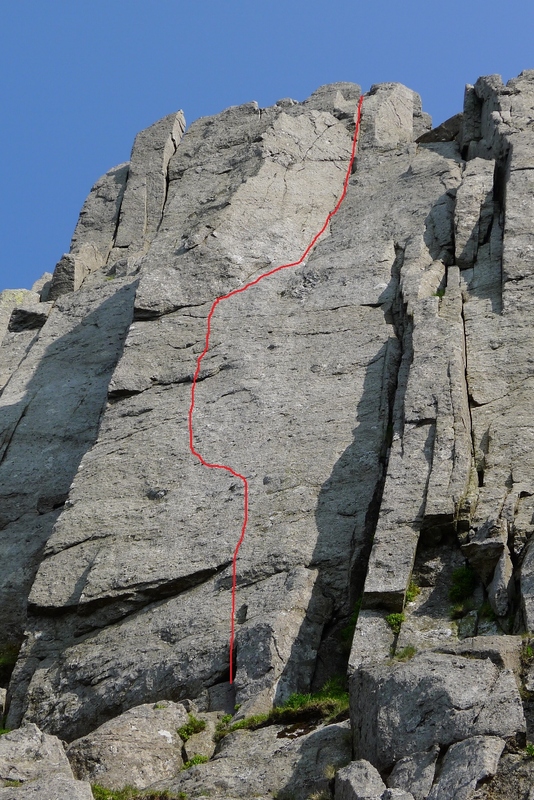 The following day I headed back up to Cloggy and climbed ‘It Will be Alright on the Night’, an excellent E7 that climbs the wall to the right of ‘Margins…’. The pegs seemed to be in pretty poor condition but there was just enough gear to back them up with which meant the route wasn’t too terrifying! I’m looking forward to the next opportunity I get to head back up to Cloggy, having noticed some new lines to do as well as some other classics to repeat.